EAME has created a specific Panoramio Photostream for some of the its more interesting projects. The photostream is Google Earth linked so you can check out where we have been. We will be adding more images over the coming months and years. 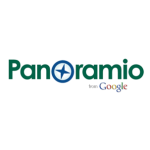 Please drop by and have a look at the EAME Panoramio Photostream.